Welcome to The Kennedy Group. Founded in 1971 and comprising of four specific areas of business travel and leisure travel. Kennedy Travel Management has been handling business travel for over 40 years, offering a dedicated personal service to a variety of commercial clients. Our professional and experienced team has the product knowledge and technology to ensure we provide the most cost effective solutions while maintaining high standards of service. Kennedy Worldwide Travel opened its doors in 1971 and has always specialised in providing a quality service and personalised holidays to suit our discerning customers. Our dedicated and experienced team is committed to help you find your perfect holiday at the right price. 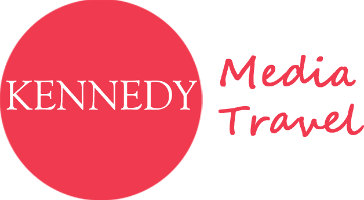 Kennedy Media Travel has many years’ experience providing travel management for television and film production companies. We provide a bespoke and personalised service for all types of travel requirements for individuals and crews as well as the most demanding talent. All this is supported by our out of hour’s emergency service. 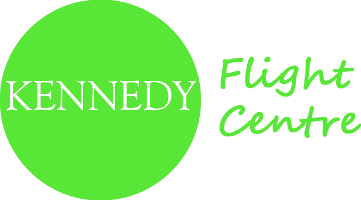 For over 22 years, Kennedy Flight Centre has specialised in providing a personal service to the travel trade searching for “Flight Only” requirements for their clients. We have access to some of the best fares to all worldwide destinations. Our knowledgeable team will find the best routings and available fares. The Kennedy Travel Group was established in 1971 and is proud to remain a privately owned travel company. We have a wealth of knowledge and experience enabling us to provide the very highest standards of service and advice whether you’re looking for someone to handle your personal travel arrangements or your business travel requirements. As a family owned business with long-serving and dedicated teams of professionals, we have always aimed high. We are proud not only to be constantly recommended to others by our existing clients, but also of our ability to retain business and develop long lasting relationships with our valued customers. “Service” is what makes us stand out from the crowd because we recognise our customer is the most important person in our relationship and we pride ourselves in offering our clients choice without the need to compromise. With an ‘out of hours 24/7 emergency service’, the latest technology and key partnerships, solutions are at our fingertips to ensure we are always at least one step ahead. Kennedy Travel Management & Kennedy Media Travel offer a service to the corporate and entertainment sectors. Between them our customer portfolio represents a variety of industries including engineering, finance, geological, chemical, international auctioneers & government sectors as well as a diverse range of television & production companies. Some companies we have the pleasure of working with have been our clients for over twenty years – a true testament to our success and the partnership service we provide. Kennedy Flight Centre offers the travel industry a professional and personal service dedicated to providing worldwide flight-only reservations based on the most attractive fares and routings available. Kennedy Worldwide Travel is our full service travel agency, offering an array of worldwide holiday options…. from cruising to city breaks and annual family holidays to once in a lifetime special trips.